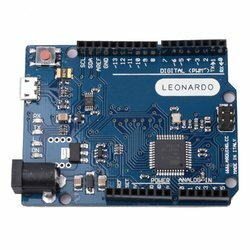 Wholesale Trader of a wide range of products which include arduino uno r3, arduino mega 2560 r3, arduino leonardo r3, pcb hx711, lm 2596 dc to dc board and xl6009 dc-dc step-up module. Arduino Unois a microcontroller board based on the ATmega328PIt has 14 digital input/output pins (of which 6 can be used as PWM outputs), 6 analog inputs, a 16 MHz quartz crystal, a USB connection, a power jack, an ICSP header and a reset button. It contains everything needed to support the microcontroller; simply connect it to a computer with a USB cable or power it with a AC-to-DC adapter or battery to get started.. You can tinker with your UNO without worring too much about doing something wrong, worst case scenario you can replace the chip for a few dollars and start over again. TheArduino Mega 2560is a microcontroller board based on theATmega2560. It has 54 digital input/output pins (of which 15 can be used as PWM outputs), 16 analog inputs, 4 UARTs (hardware serial ports), a 16 MHz crystal oscillator, a USB connection, a power jack, an ICSP header, and a reset button. It contains everything needed to support the microcontroller; simply connect it to a computer with a USB cable or power it with a AC-to-DC adapter or battery to get started. The Mega 2560 board is compatible with most shields designed for the Uno and the former boards Duemilanove or Diecimila. 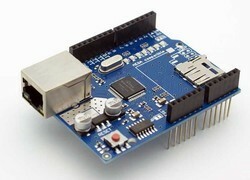 The Mega 2560 is an update to theArduino Mega, which it replaces. TheArduino Leonardois a microcontroller board based on the ATmega32u4 . It has 20 digital input/output pins (of which 7 can be used as PWM outputs and 12 as analog inputs), a 16 MHz crystal oscillator, a micro USB connection, a power jack, an ICSP header, and a reset button. It contains everything needed to support the microcontroller; simply connect it to a computer with a USB cable or power it with a AC-to-DC adapter or battery to get started. Based on Avia Semiconductor's patented technology, HX711 is a precision 24-bit analogto-digital converter (ADC) designed for weigh scales and industrial control applications to interface directly with a bridge sensor. The input multiplexer selects either Channel A or B differential input to the low-noise programmable gain amplifier (PGA). Channel A can be programmed with a gain of 128 or 64, corresponding to a full-scale differential input voltage of +-20mV or +-40mV respectively, when a 5V supply is connected to AVDD analog power supply pin. Channel B has a fixed gain of 32. Onchip power supply regulator eliminates the need for an external supply regulator to provide analog power for the ADC and the sensor. Clock input is flexible. It can be from an external clock source, a crystal, or the on-chip oscillator that does not require any external component. On-chip poweron-reset circuitry simplifies digital interface initialization. There is no programming needed for the internal registers. All controls to the HX711 are through the pins. Led Digital Voltmeter Tube, The Accuracy Is Adjustable Function, Can Be Aimed At Your Multimeter Adjustable Accurate. Press the key "S1" to let the display show the input or output voltage. when the green led light, it shows output, the red shows input. 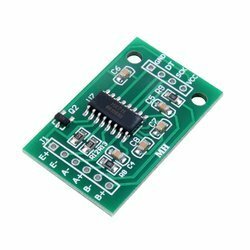 This module can take an input voltage of between 5 and 32V DC and converts it to an output voltage between 5 and 35V DC. You may use this module to generate high voltage upto 32V from small battery packs other power sources. When using these modules remember that the output current will be a lot less than the input current, (remember - W = VA). For example, if you have a 10V output at 1A from a 5V input, the input current will be around 3.6A. The real-life maximum amount of power you can get out of these things is around 10W. If Output current is greater than 2.5A (or output power greater than 10W) use with heatsink only. 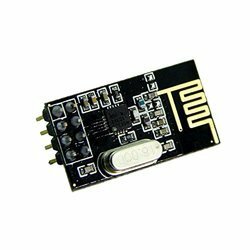 This is a cheap and easy to use RF wireless transceiver module based on the popular nRF24L01 from Nordic Semiconductor. It works at the 2.4 GHz frequency range and has a high on air data rate of upto 1 - 2 Mbps and comes with an onboard antenna for best performance maintaining a small size factor. This is one the cheapest and easiest modules to do wireless communications using Arduino, Raspberry Pi and other micro controllers. Libraries and sample codes are available for Arduino and Raspberry Pi which will make it easier for you to start using the wireless module. Use it to do bidirectional communication between devices. 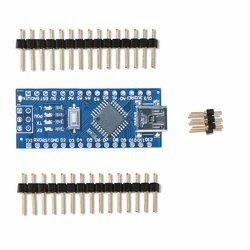 It has a standard SPI interface, which means you can directly interface this module to any microcontroller without the need for any external circuit. This RF transceiver is perfect to making wireless robots, home automation, wireless transmission of audio and video, etc. When working with datarate of 2Mbit/s, the peak current is 12.5mA. Power-down mode power consumption is 400nA. Standby mode power consumption is 32uA. Fits all version of Arduino main board, 2009, UNO, mega 1280, mega 2560. 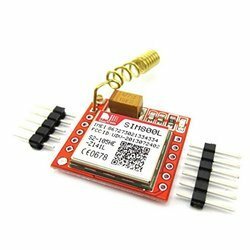 GSM / GPRS Quad Band TTL UART Modem - SIM800, from rhydoLABZ, is built with Quad Band GSM/GPRS engine- SIM800, works on frequencies 850/ 900/ 1800/ 1900 MHz. 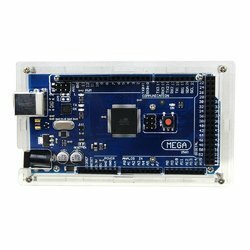 The Modem comes with selectable interfacing voltage, which allows you to connect 5V & 3V3 microcontroller directly without any level conversion chips. The baud rate is configurable from 9600-115200 through AT command. The GSM/GPRS Modem is having internal TCP/IP stack to enable you to connect with internet via GPRS. It is suitable for SMS, Voice as well as DATA transfer application in M2M interface. The Modem is manufactured with Automatic Pick and place machine with high quality standard. The onboard Low dropout 3A Power supply allows you to connect wide range unregulated power supply (5V-12V). Using this modem,you can make audio calls, SMS, Read SMS, attend the incoming calls and internet etc through simple AT commands. 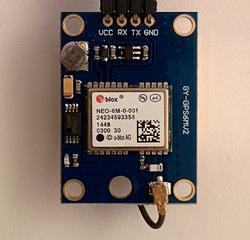 1x Fully Assembled and Tested GSM Modem with antenna. The Nano is using the chips ATmega328P and CH340, not FT232 as official Arduino, so pls. use the driver from above link. It is a smallest, complete, and breadboard friendly board. It has everything that Diecimila/Duemilanove has (electrically) with more analog input pins and onboard +5V AREF jumper. Nano's got the breadboard-ability of the Boarduino and the Mini+USB with smaller footprint than either, so users have more breadboard space. It's got a pin layout that works well with the Mini or the Basic Stamp (TX, RX, ATN, GND on one top, power and ground on the other).